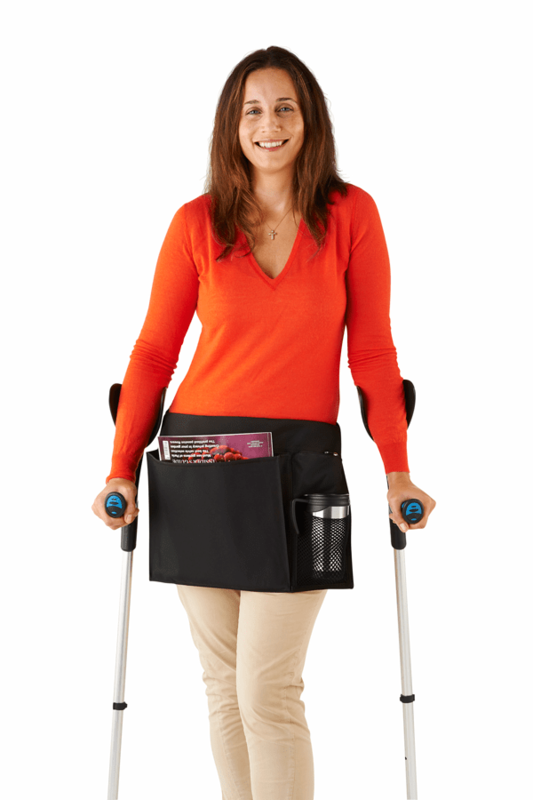 The Hopper is a new product that helps people using walking frames and crutches to carry things for themselves. Anyone using these walking aids knows how frustrating it is that carrying anything becomes very difficult and constantly asking for help is not ideal. 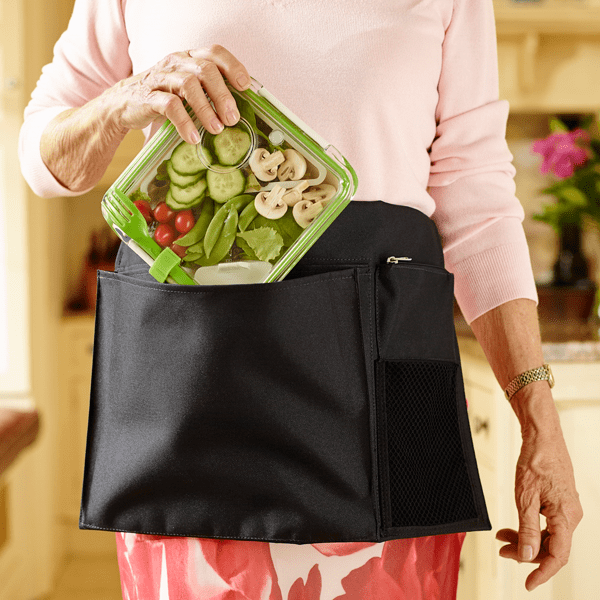 The Hopper lets you carry hot and cold drinks, magazines, papers and a huge range of essential items easily whilst keeping everything right in front of you and out of the way of the walking frame or crutches. It’s made from a strong, lightweight, flexible fabric and finished with a water resistant coating with four useful pockets of varying shapes and sizes to carry just about anything you’ll need while on crutches. Ideal for people with lower limb fractures, hip and knee replacements, walking frame users, people with arthritis, MS, fibromyalgia, muscular dystrophy and spinal injuries. Occupational therapists love the product because it is a simple and cheap but really effective and flexible for patients’ needs. The Hopper is also durable and washable.